The proposed building would top out at 185′, ~17 floors with 198 residential units and a 136 room Aloft Hotel. It would sit up against the highway between West Exchange Street and the former G. Fox building. WSTX proposes a program at this location which activates the pedestrian connection with nearby Downcity, the Convention Center, the Dunkin Donuts Center and the Omni Hotel Complex, only twelve hundred feet away. And it is located at an equal short walk from one of the city’s most vibrant commercial areas along (Atwells Avenue). This study uses the corner of West Exchange street and Fox Place as the datum level which corresponds with the foot of the hill (approximately + 20.00′) and also facilitates an understanding of the height context along the west side of the highway. There is currently an existing two story industrial building on the site, the visibility of which is eliminated by the ongoing construction of the new exit ramp on 1-95 S. Page 4 of the study includes a photo montage as you might move along the elevated roadway travelling north or south. The new ramp runs even with the 4th and 5th floor of the proposed tower from certain angles resulting in a view of thirteen floors. Pages 2 and 3 of this study illustrate thenodal condition and the proximity to the city’s down town with the site. This simpatico makes this location and the contiguous area more complementary to the city skyline, not by competing with the taller buildings to the east, but by working in unison to create an extension and visual gate to the city. In this way; a clear visual connectivity is established at the nodal point (where the city in a way vanishes under the the highway) and a reinforced pedestrian connection is activated. Currently the proposed new zoning does little if anything to encourage this activation by continuing to allow the highway to be a wall rather than a construction with a certain level of pedestrian and commercial transparency. Page 2 and 3 also illustrate the relative heights of the existing building relative to the datum. The resulting west side ridge of new development will result in increased commercial activity opening new doorways and increasing the tax base of the Downcity. It appears that the City Council passed a special ordinance to zone the parcel for this development as D-1-200 (Downtown Zone, 200′ height). Looking at the proposal, and their arguments for not allowing the highway to be an artifcial barrier for Downtown; I like the proposal well enough (there’s things to look at in design review for sure) and agree about Downtown bleeding west. I said in the comments on another post, if not for the highway, we’d all probably consider Atwells to be a downtown neighborhood. We do need to be cognizant of where we want downtown to end and building mass to return to neighborhood scale we see on Atwells and Broadway and Westminster, but I’ve long thought the downtown shouldn’t just end at the highway, which is why always call the strip along the west side of the highway, the Near West Side, it is its own thing seperate from the rest of the West Side. This project has not gone before the City Plan Commission yet so can, and likely will, change before that, or it might never get to CPC and just vanish, that happens sometimes we all know, but now we know why that little island of Downtown zoning got stuck on Federal Hill. Seems like an odd place to put a high-rise. Looks like a great proposal both aesthetically and its for its location. I agree that it would create a better gateway into the city and would introduce a new route and connection from downtown to the hill. That area has long been neglected and this proposal would certainly revamp the location. I age with Jeff about tearing down another building before developing on an open lot. I would also rather have a high-rise close to the center of downtown to improve the vertical density but still like this project. It is an odd place for anything really. It is basically right downtown, but you have to walk under the highway and through the horrible tunnel under the convention center to get there. It is also just off Atwells, but you have to walk up a giant hill with nothing around to look at or make the walk at all pleasant to get there. I don’t know how you improve the tunnel. The link to the Hill could be developed more, but we’ll see if it will. Seems like it will end up being very auto-centric if only by virtue of the fact that car-free or car-light people will avoid that location. If anything, it would be an amazing highway ‘billboard’ letting travelers on I-95 know that Providence is open for business. Love the density, even though at first glance the image above is, wow, so imposing. Agree with all the comments above. Still promising though? i hope this gets built! It’s an unique area of the city. While reading the article it reminded me of Dallas where the W Hotel is located. Past the AA Arena and an apartment complex there was nothing but an area that needed to be revitalized then someone took the opportunity to build something and the area boomed! So hopefully it will happen in that part of Providence to. Well, I can’t say it’s beautiful, and the materials will ultimately make or break it (as is the case with this style), but I’ve always been a strong proponent of height near the highway, so this accomplishes that without dwarfing the hill. Overall, I’d say this is nearly a best case scenario for that location. I’m having a difficult time recalling, but this isn’t the same location as the tower that was supposed to have the clock at the top of the tower, is it? I bring that up because I’d really like to see both proposals built down there. I think that the bottom of the hill along that street should focus on becoming an anchor of density because that’s really the only way to prevent the area from consistently feeling somewhat desolate. It’s also the best chance to stave off the “parking-lotification” of the area. One or two anchors of high-density development dramatically increases the value of the area for other purposes than supplemental parking for nearby restaurants and such. @David. I believe the second building you mentioned was supposed to be located at Bradford and Federal Streets with high security at a height around 35 stories. I think there may have been some neighborhood outcry and some sketchy dealings with the project, but I can’t recall for certain. Again, love the would-be density, but looks like something out of the 1980’s and can’t help but twitch at the idea of calling anything with “Gate” at the end of it for fear of there been some conspiracy associated with it. 210 West Exchange is a great design. If you look at maps from the late 50s or earlier, downtown’s orientation was east-west. It did extend beyond the highway to Hoyle Square and Federal Hill. The empty 4-story 206 Broad Street and Crossroads (former YMCA) were all part of downtown. Besides the highway, the city tore down much of the area west of the highway to build the Classical/Central HS buildings and athletic fields in the 60s. Never saw an image of Broadway Gate. Bold project. It could have been a rendering that was produced by the developer to raise funding. If it was proposed in the mid ’00s, the project probably got caught in the financial downtown. 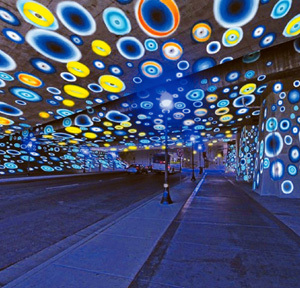 As for the tunnel, there are other cities that have tempered the hostile environment of tunnels or highway underpasses with creative ceiling design and lighting. Hopefully this means the Cianci for Mayor sign on the roof of the current building will finally come down (and the Almonte sign too). That Broadway Gate design is a lot of work for just being a “pie in the sky” That would look amazing. That area really needs good development as well. Regarding the Broadway Gate find, it looks like an updated imagining of the nearly decade old Power Block concept. It appears to include construction on the parking deck at the Hilton, the Old Public Safety Building Memorial Parking Lot™, and the Fogarty Building, which saw a proposal for an extended stay hotel surface this past May. All of those properties are owned by the Procaccianti Group I believe (do they still own the Hilton?). There is also a tower on the circular gas station parcel, which according to City records is owned by an LLC registered to Joe Paolino (the City records are not always the most up to date though). I have heard whispers about a project trying to come together on the circular gas station parcel that may include a grocery store, but it has not yet raised to the level of going before any City commissions. The Broadway Gate is likely one of many iterative looks at what to do with the Power Block, it is encouraging to see it is continuing to be looked at. The area framed by the west side of 95, the north side of West Exchange, the Dean Street bridge and the south side of Harris Avenue should all should be re-zoned D1-200. Granted that most of it is highway, it would legitimize the 510 WSTX site making look less like spot zoning. The former produce market site could also be developed with this bulk. Besides the push south of downtown, an expansion of downtown could eventually follow the Woonasquatucket corridor leaving existing low(er) density commercial and residential neighborhoods alone as the city grows. I feel like there was a draft map at one point that showed everything between 6/10, Atwells, and Dean as part of the D-1 zone, don’t think a height was settled on. 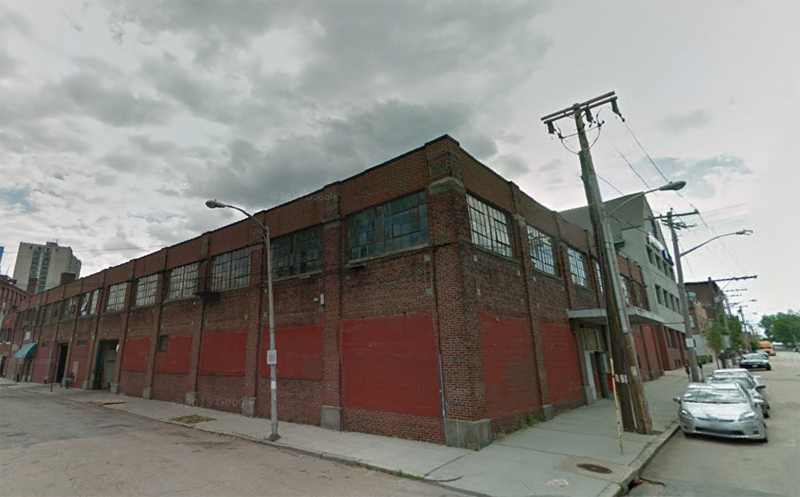 The project I was speaking about earlier was 50 Cedar street, which I’d still like to see happen. In regards to the “Broadway Gate” renderings, while I like the general concept of four buildings working on variations of a theme (much like the Omni complex), the theme itself is underwhelming, to put it nicely. So does anyone know how much tax revenue a 326,860 SF mixed-use project with 136 key hotel, 178 residential units produce at a tax rate of $36.75 per 1,000? But Ward 13 City Councilor Bryan Principe – who represents Federal Hill and initially advocated for including the West Exchange zoning in the citywide rewrite this fall – changed his mind about it. Principe said the reversal on the zoning change was a result of concerns about how quickly the West Exchange measure went through and the fact that the community did not get a full opportunity to debate it. I’m all for transparency and public dialogue, though anything that goes through the City Council is public record and posted publicly. The Council’s process for making things public could use a whole hell of a lot of work, but it is the system we use to do everything. This is the main problem, the developer asked the Council to do something for them, the Council did it. Then the Council was all like, “well, no, actually, we changed our mind.” Who is ever going to come to do business in this City when that is the way you get treated. Say whatever you will about if you particularly like this project or not, or you like that developers flex their muscles with he Council. No one did anything illegal, this is how things get done, then they get undone. There’s plenty of cities who actually want economic development people can invest in. Great points to the PBN article, Jef. I hope you’re at the meeting Thursday to voice them! So frustrating. Council has a history of getting us all excited and then knocking us down which adds to the dismay of so many here. Ugh. @David. Not sure about the current standing of that 50 Cedar project, I think there was some concern over a two level parking structure associated with it? Perhaps I’m wrong. However, the Solus4 study shows the proposed 50 Cedar St. project on its maps surveying the area for the Aloft proposal. I hope this doesn’t get screwed up over politics. I feel there is momentum finally starting to build. There is actual talk of projects going vertical. This could be the start of several larger projects, the one that breaks the ice so to speak. So frustrating! Would be so awesome to add a 200 footer to the skyline! To those that feel strongly about this project moving forward, I suggest emailing Councilman Principe directly in anticipation of today’s council meeting. Anything from the City Council? I second that question. Did the Council actually address this? I wrote a letter, as well. It would be very disappointing to allow this project to walk away. The incoming administration should be fighting to “send a message” and supporting this. It’d be a nice addition to the view when motorists drive through Providence, connects the West to the East, and it also sends a message that we are open for business. How great it’d be if we saw this under construction, along with all the potential projects in the Jewelry District — all at the same time. I know this isn’t the proper thread, but does anyone know anything that may explain why there has not been any office to residential conversions in downtown/downcity? There seems to be so many underutilized capacity that just sits there empty…most of which with a “paolino” sign. It’s very unfortunate. 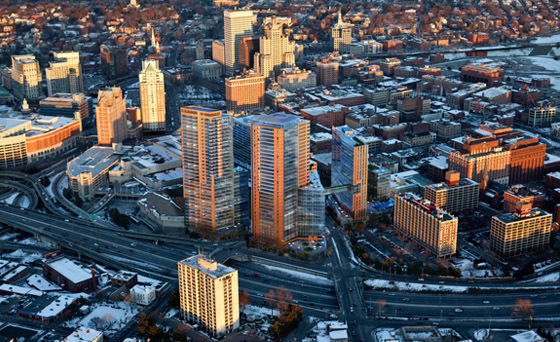 Providence needs people living downtown, and some of these buidlings would make beautiful urban residences. City Council doesn’t want a prosperous city. They are happy with the way things are now. I was at the City Council meeting. Principe spoke in support of the resolution. He said his issue was that this rezoning happened as part of the citywide zoning ordinance revision and therefore did not have a public meeting explicitly for the rezoning of this parcel. By returning this parcel to M-MU-90, the landowners can go through a public process to achieve their desired building height with the opportunity for abutters and concerned citizens to be heard as well. There were about 15 people there with signs in support of the resolution. Maybe 6 or so opposed (but no signage). Like the rest of the meeting, everything happened very quickly. I’m assuming this is how City Council Meetings go. Have to agree with the previous opinion: BUILD something. Quit shooting down legal, publicly vetted, appropriate, urban projects for no good (or given) reason. Very frustrating. I don’t think that the project is completely dead. I have an issue with height restrictions. I can understand that “creating an island of 200-foot zone in the middle of a 90-foot limit area” is a bit ethically iffy, but in Providence, we need to make it easy as possible for developers. I also understand that height isn’t always the best kind of density. Sounds to me like a case of a politician terrified of his constituents. Why would the abutters here have any problem with this proposal? If built, it does nothing but dramatically enhance their property values. I am perennially disappointed by decisions like this. I’ve already emailed Councilman Principe, and his reply, though unsatisfying, nevertheless seemed to indicate that he supports the proposal. With that in mind, who can I contact next? I feel like SOMEONE needs to know how obscene this is and how many people feel that way. And I would love to directly contact the developer to encourage continued work on this proposal despite this setback. @Aaron. The committee chair – Councilman Seth Yurdin, the Mayor’s office, every council member and the hotel and builders unions. First they approved it. Then they killed it. Now they want to talk about it. 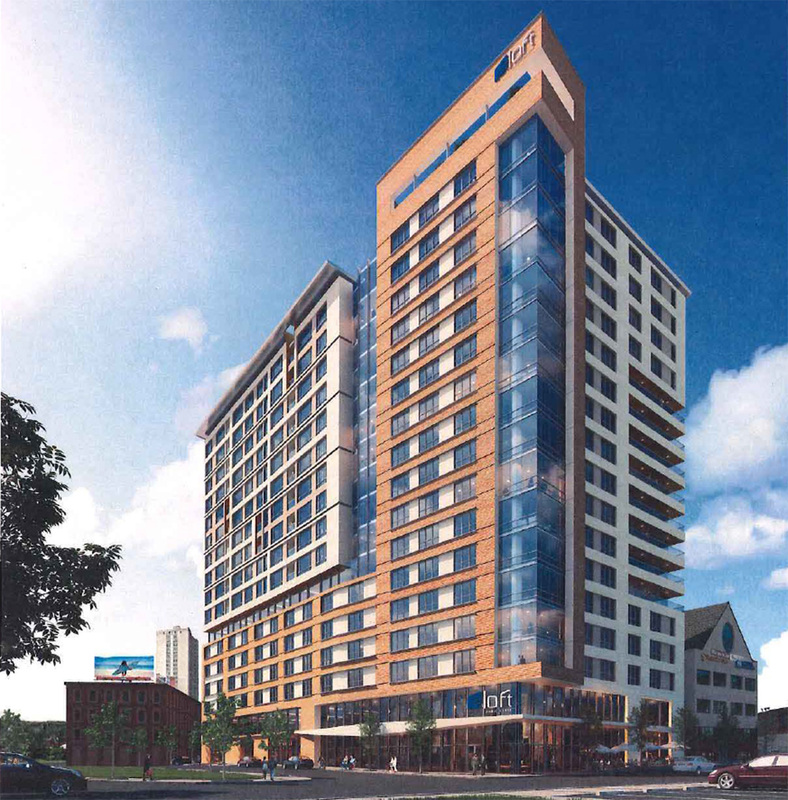 The Providence City Council agreed Monday to hold public hearings before it considers allowing a developer to build a 17-story hotel and apartment complex at 210 West Exchange Street, steps away from the city’s premier restaurant district on Atwells Avenue. The vote to begin discussing the project came seconds after the council voted unanimously to rescind a zoning change that would have allowed the developer move forward with his 200-foot building. Councilman Bryan Principe, who represents Federal Hill, had spoken in favor of the map change in October when the Ordinance Committee initially endorsed it, but said Monday night that it would be better for the hotel project to go the route of seeking a variance from the 90-foot requirement. Uhm, no, it would not be better for the developer to go for a variance. The entire reason we’ve spent the last 8+ years re-working the zoning ordinance is so we can stop having developers zone the city through variances. Last week Derek Mesolella said he wasn’t looking for a fight with the city and if the council didn’t want an approximately $80-million hotel on the site, his company would instead develop the land in accordance with the 90-foot height limit, but probably for less value. “I’d like to reiterate the fact that we refuse to get into a situation where we do not have full support from the city on the proposed development,” he said. The reversal was more evidence that the city is unwelcoming to business development, he added. The city will bring up several red carpet projects.Just like her big brother ,Boston,we have the talent.I’d expect something close to this project(venture) happening.I must add that the two talls need to drop down in height.